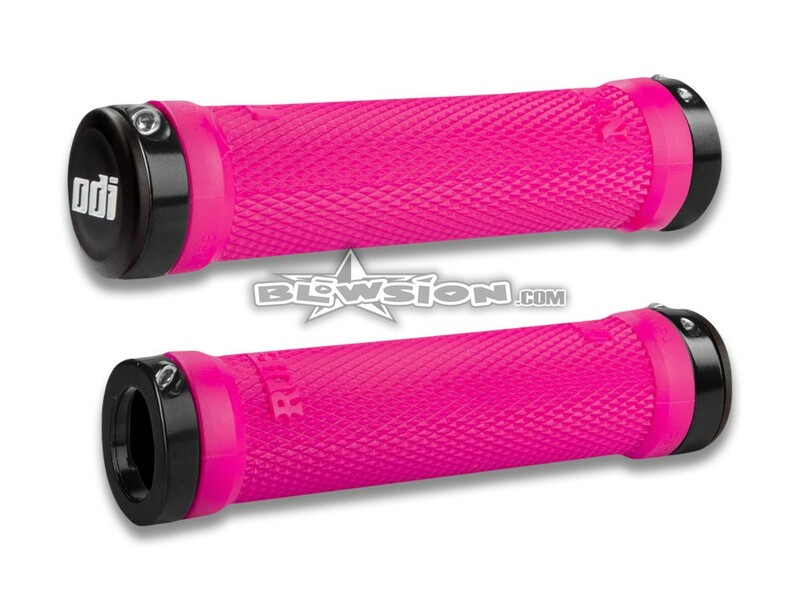 *Limited Edition* ODI Ruffian 130mm Pink No-Flange Lock-On Grip Starter Pack. 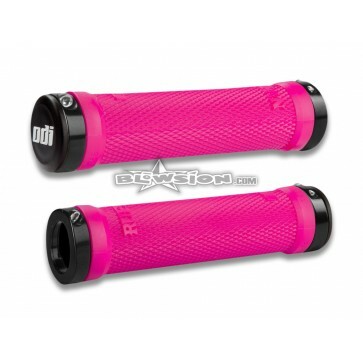 The ODI Ruffian grips are designed for optimal control in wet conditions. The grip's narrow diamondized surface pattern provides an excellent gripping system and the Lock-On design offers 100% slip-free performance. Anodized Black Locking collars on both sides of the grips keep them securely in place. Guaranteed.